Step 1: First, you will set up a consultation with Dr. Forster. The purpose of this consultation is to make sure that the treatment is appropriate for you and to explain in detail the process. Step 2: Setting the TMS parameters, Dr. Forster will meet with you for a 2-hour session. During this session, he will determine the motor threshold settings and and set the location for the magnetic pulses that is best for you. During this session, you will also receive your first treatment. Step 3: You will then have 1-hour treatment sessions each weekday for 6 weeks – these sessions will be administered by a trained technician under Dr. Forster’s clinical supervision. Note: If Doctor Forster may decide to reset the TMS parameters after treatment has been started, based on your response to the treatment. Step 4: In addition to TMS sessions, you will have weekly visits with Dr. Forster to evaluate the progress of your treatment. In addition, click this link contact Dr. Forster with any questions or concerns or to get started. 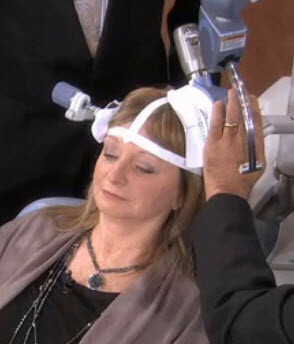 Dr. Forster can provide more information for both patients and therapists about TMS.